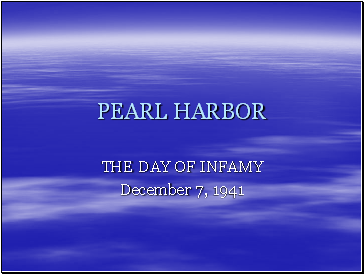 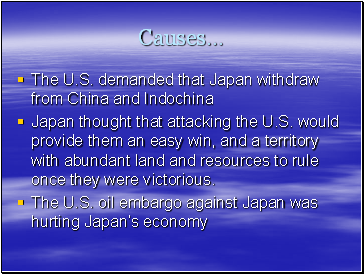 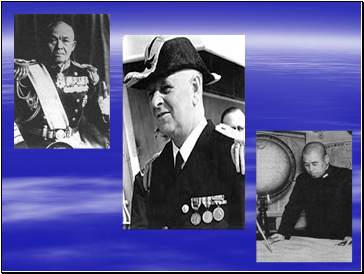 Japan thought that attacking the U.S. would provide them an easy win, and a territory with abundant land and resources to rule once they were victorious. 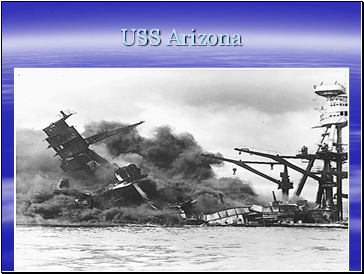 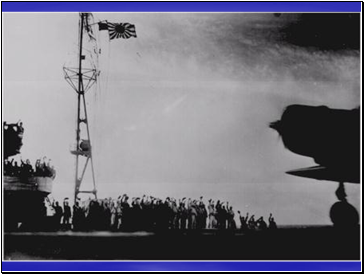 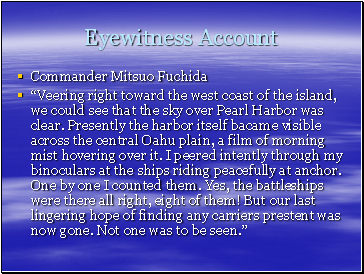 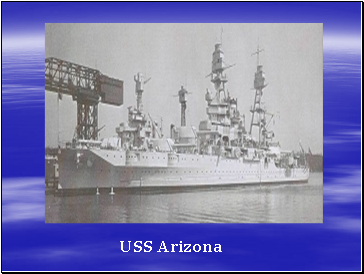 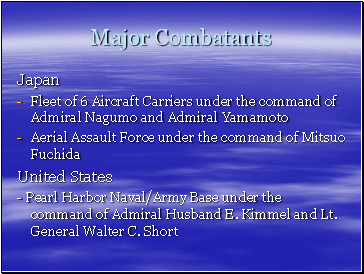 PHASE 1: Combined torpedo plane and dive bomber attacks lasting from 7:55 a.m. to 8:25 a.m. 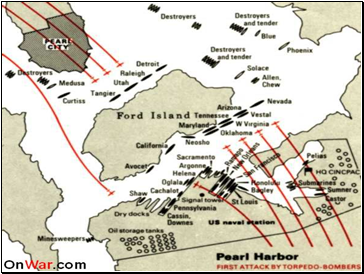 PHASE 2: Lull in attacks lasting from 8:25 - 8:40 a.m. 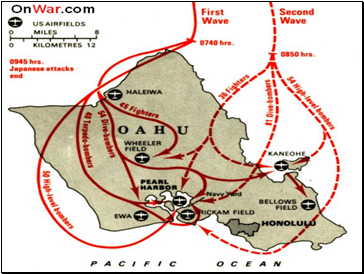 PHASE 3: Horizontal bomber attacks from 8:40 – 9:15 a.m. 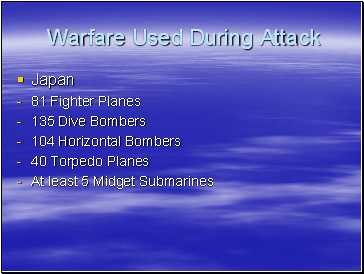 PHASE 4: Dive bomber attacks between 9:15-9:45 a.m. 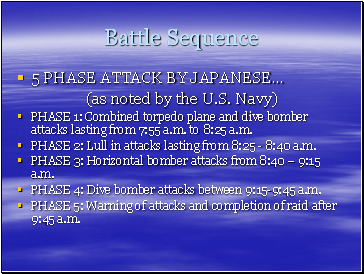 PHASE 5: Warning of attacks and completion of raid after 9:45 a.m.